To decide to become a philosopher seemed as foolish to me as to decide to become a poet. The study of law left me unsatisfied, because I did not know the aspects of life which it serves. I perceived only the intricate mental juggling with fictions that did not interest me. The more determinedly I exist, as myself, within the conditions of the time, the more clearly I shall hear the language of the past, the nearer I shall feel the glow of its life. The history of philosophy is not, like the history of the sciences, to be studied with the intellect alone. That which is receptive in us and that which impinges upon us from history is the reality of man’s being, unfolding itself in thought. The great philosophers and the great works are standards for the selection of what is essential. Everything that we do in studying the history of philosophy ultimately serves their better understanding. The community of masses of human beings has produced an order of life in regulated channels which connects individuals in a technically functioning organisation, but not inwardly from the historicity of their souls. Reason is like an open secret that can become known to anyone at any time; it is the quiet space into which everyone can enter through his own thought. Philosophy is tested and characterised by the way in which it appropriates its history. Philosophy can only be approached with the most concrete comprehension. Philosophy as practice does not mean its restriction to utility or applicability, that is, to what serves morality or produces serenity of soul. Philosophic meditation is an accomplishment by which I attain Being and my own self, not impartial thinking which studies a subject with indifference. Only then, approaching my fortieth birthday, I made philosophy my life’s work. Only as an individual can man become a philosopher. My own being can be judged by the depths I reach in making these historical origins my own. If philosophy is practice, a demand to know the manner in which its history is to be studied is entailed: a theoretical attitude toward it becomes real only in the living appropriation of its contents from the texts. I discovered that the study of past philosophers is of little use unless our own reality enters into it. Our reality alone allows the thinker’s questions to become comprehensible. I began the study of medicine, impelled by a desire for knowledge of facts and of man. The resolution to do disciplined work tied me to both laboratory and clinic for a long time to come. Everything depends therefore on encountering thought at its source. Such thought is the reality of man’s being, which achieved consciousness and understanding of itself through it. Even scientific knowledge, if there is anything to it, is not a random observation of random objects; for the critical objectivity of significant knowledge is attained as a practice only philosophically in inner action. At the present moment, the security of coherent philosophy, which existed from Parmenides to Hegel, is lost. 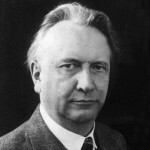 Karl Theodor Jaspers was a German psychiatrist and philosopher who had a strong influence on modern theology, psychiatry and philosophy. After being trained in and practicing psychiatry, Jaspers turned to philosophical inquiry and attempted to discover an innovative philosophical system. He was often viewed as a major exponent of existentialism in Germany, though he did not accept this label.